A Powerball ticket worth nearly $1.3 million was purchased in San Jose and matched five of six numbers in Saturday's drawing, state lottery officials announced Sunday. The lucky ticket matched the winning numbers of 5, 25, 26, 44 and 66, but was shy of the Powerball number 9, according to lottery officials said. The buyer has won $1,299,421 that needs to be claimed 180 days from the drawing date, lottery officials said. The ticket was purchased at Cask 'n Flask, a liquor store at 14520 Camden Ave., which will receive a $6,497 check for selling the ticket and is separate from the winner's earnings, lottery officials said. The winner can sign the back of their ticket with ink, keep it in a secure place and visit a lottery district office to claim their prize, lottery officials said. 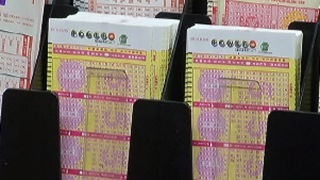 A ticket in New Jersey matched all six numbers to win the $429.5 million jackpot, which will reset the amount for Wednesday's drawing to $40 million, according to lottery officials.